The board played completely blind. With a logic probe I tested all the 74Ls07 which had fixed input and outputs as expected, therefore no activity at all. Tested the clock (pin 11) on the 74LS273@9C and 10C and it was fixed high. of the 74LS04@17E was stuck, while the input was floating. Replacing the chip with a good known one didn’t fix the problem! So I looked on the back of the pcb and found that a pin of a chip was touching the line of the output it shorted it ! After lifting the pin, the pcb showed the game in colours but all the screen was blocky. While searching for the source of the problems I shorted two pins of a custom chip by mistake and the pcb rebooted without any issues. It was clear it was some kind of reset problem for the graphic chips. 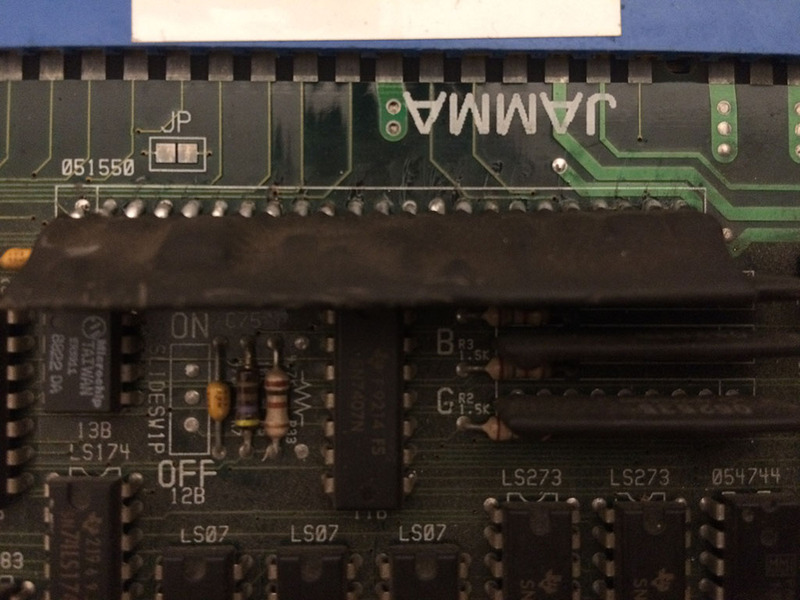 The 68000 had it’s own circuit but the customs had a separate reset. 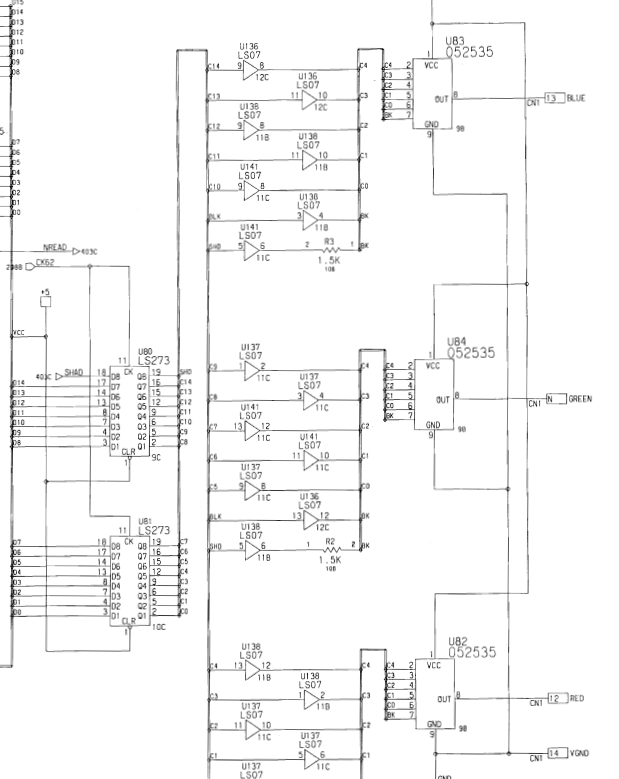 Looking back on the schematics, I found out that the system reset was given by the custom 051550 which I couldn’t find on the board…. Infact it was missing and I didn’t notice! 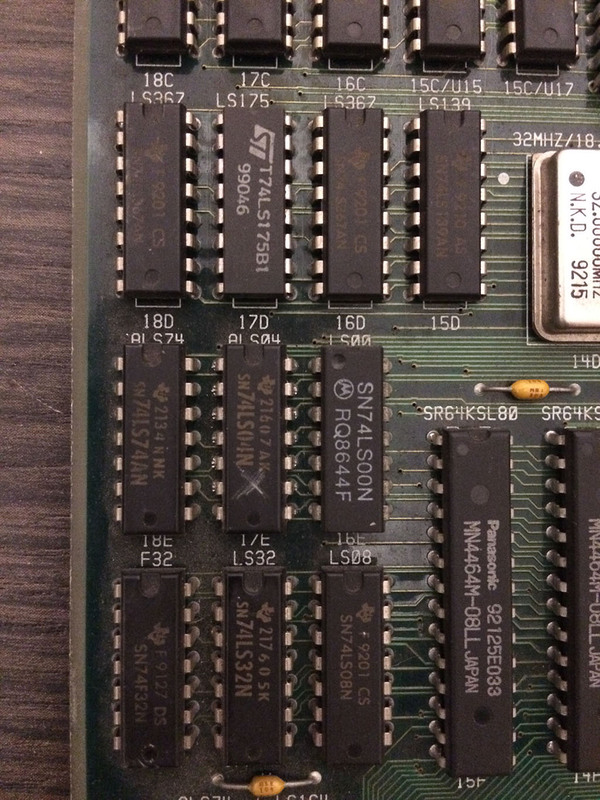 Soldered a new one from a scrap pcb and the game was fully restored!